Take stock in who you are. Emotionally vaccinate yourself against rejection. Draw others in with eye contact and body language. Honestly and openly communicate your interests and relationship goals. Remember that autonomy is not a virtue. Believe you deserve nothing less than the best. Hey Buddy!, I found this information for you: "Secret Formula For Finding Mr./Mrs. Right". 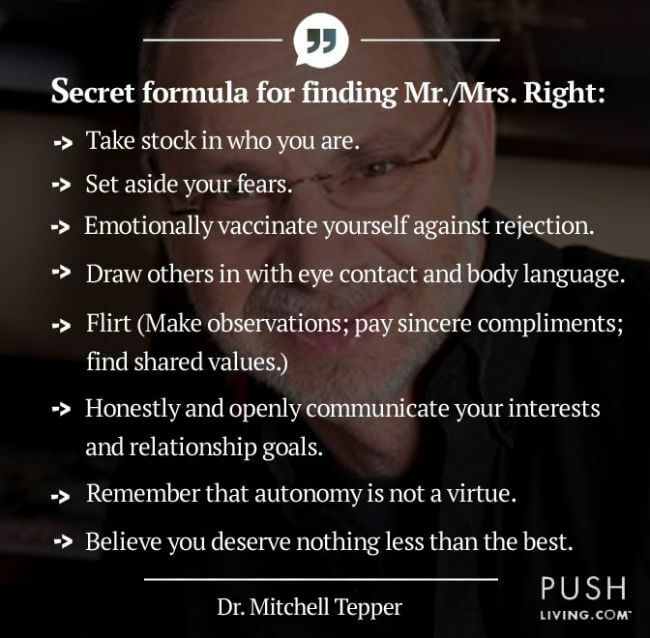 Here is the website link: https://pushliving.com/secret-formula-for-finding-mr-mrs-right/. Thank you.